A couple of weeks after the New Year celebration, everything stopped again for Meskal, another important holiday in Ethiopia on a par with Christmas in Europe. Meskal is a christian celebration commemorating the finding of the true cross by Helena, mother of Roman emperor Constantine, the first emperor to convert to christianity in the 4th century. 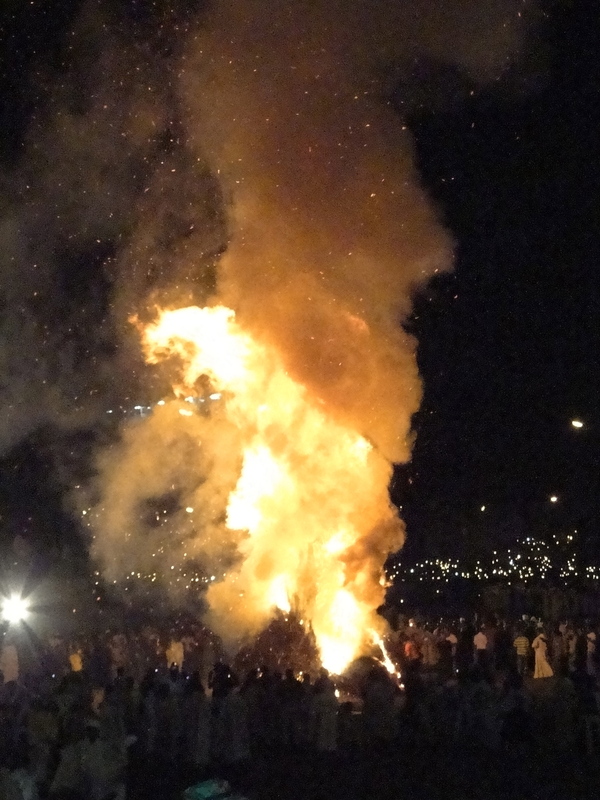 Every year, a big ceremony takes place on Meskal square, the main square in the centre of Addis Ababa, where the finding of the cross is re-enacted and a tall bonfire lit up. People say that if the burnt bonfire falls on a given side, it is a good omen and good things will happen in the coming year. According to the legend, the very pious Helena took the journey from Rome to Jerusalem in search of the true cross after its location was mysteriously revealed to her. When she reached the spot indicated to her, she ordered her staff to start digging, but instead of one, they found three crosses. To find out which one was the true cross, they put each of the crosses over a dead body lying nearby; one of them resuscitated him: it was the true cross on which Jesus Christ was crucified. 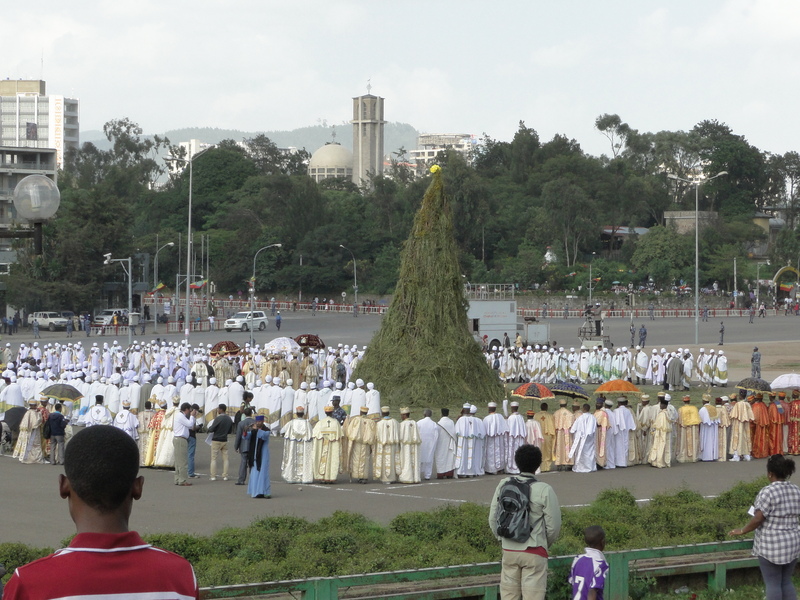 In Ethiopia, the legend of the cross is a symbol of peace, which is why the ceremony is so important in the country. It is also referred to as Meskal peace and takes place on 27 September, the day Helena supposedly found the cross. This year for the first time, I was able to attend the ceremony held on Meskal eve (at the same time last year, I was unpacking our boxes which had just arrived from Europe). I got there early at about 3pm, when the preparation was still undergoing. Orthodox higher priests in their traditional Ethiopian golden robe and cape were gathering around the bonfire, while other priests in a white robe were chanting and moving to the sound of drums. 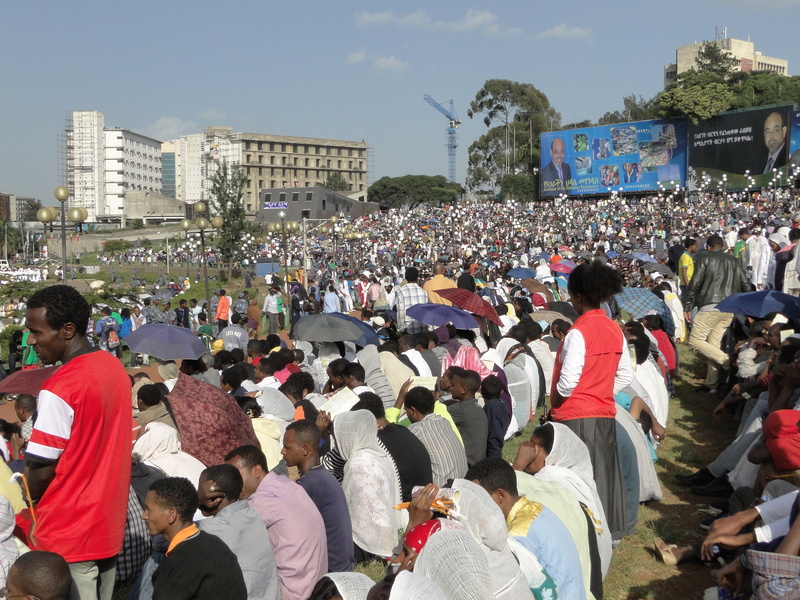 They were waiting for the main dignitaries such as the Prime Minister, the Patriarch and the Mayor of Addis to arrive. About an hour later, as more people had gathered in the square, the ceremony began with an open air mass. People fervently joined in, praying and chanting along with the priests. The atmosphere was very peaceful and quite spiritual, especially considering the huge crowd. Many policemen were carefully watching to make sure the event stayed peaceful all along. At some point, a couple of policemen caught a young woman with a baby who had been begging, I don’t know if she had tried to steal from someone, but what surprised me was the crowd’s reaction: people started applauding the police for taking her and her baby away. I didn’t fully understand what happened being such an outsider; was the crowd happy that the police intervened to keep the event a peaceful one? After an hour of mass, the ceremony carried on with various speeches from the dignitaries. The only one I could understand was the mayor’s speech because he spoke in English at some point, asking UNESCO to add the Meskal peace on its list of world heritage events. In his view, it symbolises not only peace in Ethiopia but peace for the world. 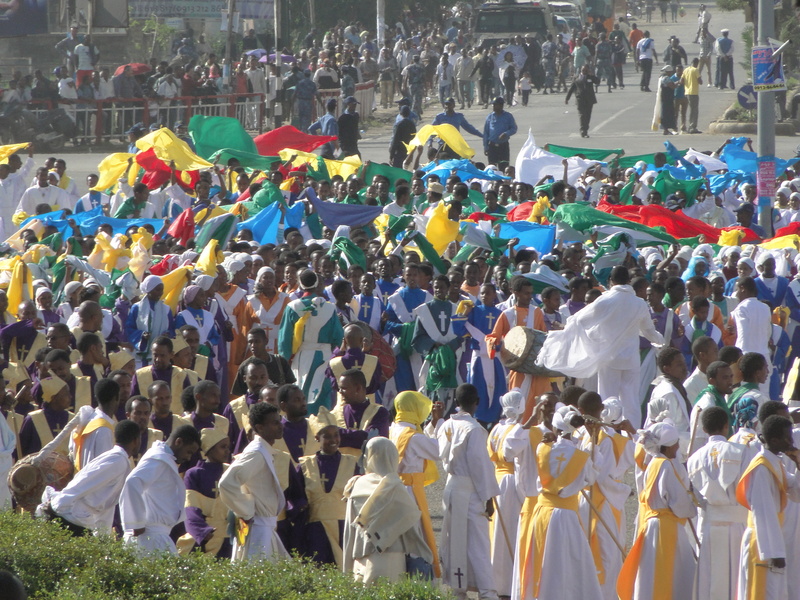 This entry was posted on September 28, 2012 by Salambo in Living in Addis, Religious Ethiopia and tagged Addis Ababa, bonfire, emperor constantine, Ethiopia, finding of the true cross, helena, meskal celebration, meskal peace, meskel square, orthodox priests.